President Evo Morales said today that as a matter of dignity, his government will not allow any conspiracies by nongovernmental organizations accredited here. 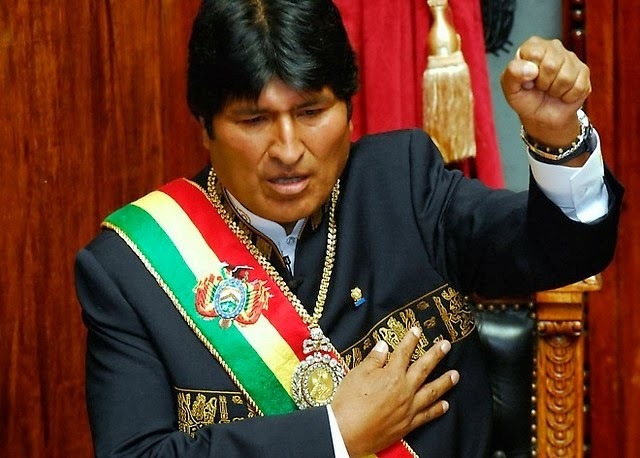 “As a matter of dignity of the Bolivian people, we will not allow any NGO to use its funds to plot against democracy and the national government,” said Morales. Morales told journalists that the Bolivian people have the constitutional right to do politics, but not to plot with foreign capital. “But some ONGs come here to conspire, funding opponents who come and treat us as if we were uneducated, looking down on us as any master or empire would do, and this is will not be permitted,” he said. Morales also described as positive the work carried out by some NGOs that contribute and coordinate their efforts with municipal governments and mayors to promote social development. That kind of cooperation is guaranteed by his government, he said. On Friday, Minister of the Presidency Juan Ramon Quintana announced the expulsion of the Danish NGO Ibis for promoting division within Bolivian social organizations. “Ibis must leave Bolivia because we were able to prove its political interference and intolerable behaviour aimed at influencing social organizations to divide them and trigger clashes among the people,” Quintana said at a press conference.